Kengtung is one of the more remote places in Myanmar, but if you make the effort to come here then you will be rewarded with pretty scenery and a quaint town that has yet to be overrun with tourists. One of the great highlights of a trip to Kengtung is the chance to visit the local villages that surround the town. 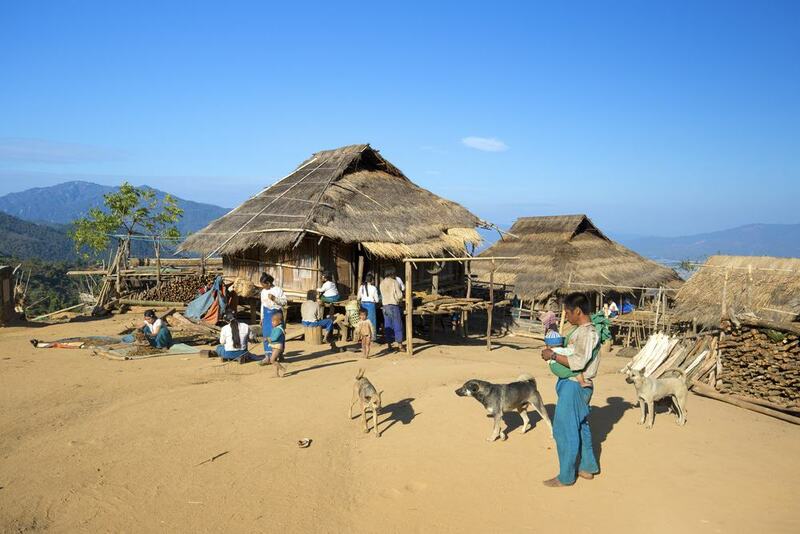 Here you can get a glimpse of how local ethnic groups live and work in modern day Myanmar and you can also enjoy trekking and hiking through the lush jungles that abound here. 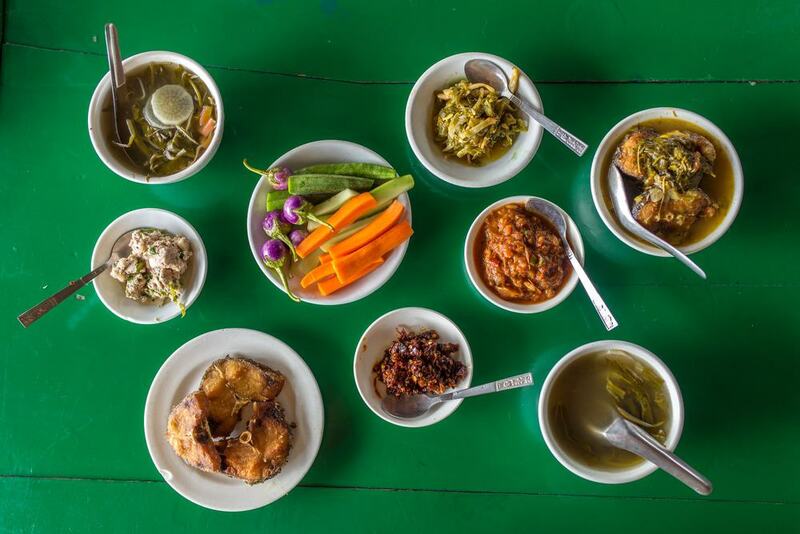 As Kengtung is part of pretty Shan State, you can also spend time sampling what many people will tell you is some of the most delicious food in the country. One of the focal points of Kengtung is the Standing Buddha which you won’t be able to miss, wherever you are in the town. The Buddha dominates the skyline and can be seen from almost all parts of the town and soars to a height of some 60 feet. It stands on a hill that overlooks the town and although there isn’t much in the surrounding area directly, it is still worth coming here to admire the Buddha up close. It is also conveniently en-route to Naun Tong Lake so you can combine a visit to both places at the same time. Dhat Zoam Doi Monastery is a great place to come in Kengtung if you want to see some gorgeous architecture with a difference. 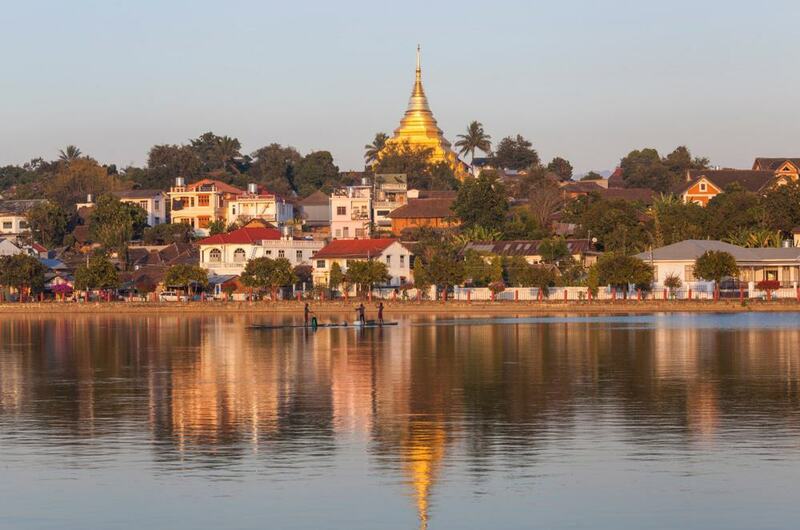 The reason why the design of the monastery is notable is that it was built in the shape of a boat, which makes it highly unusual in Myanmar. When you visit you can watch the monks praying and working here and you can also take in the pretty scenery that surrounds you and gives you a glimpse of rural life in Kengtung. Lone Tree Hill might sound like an unexpected name for a landmark in Myanmar but it describes the spot perfectly. 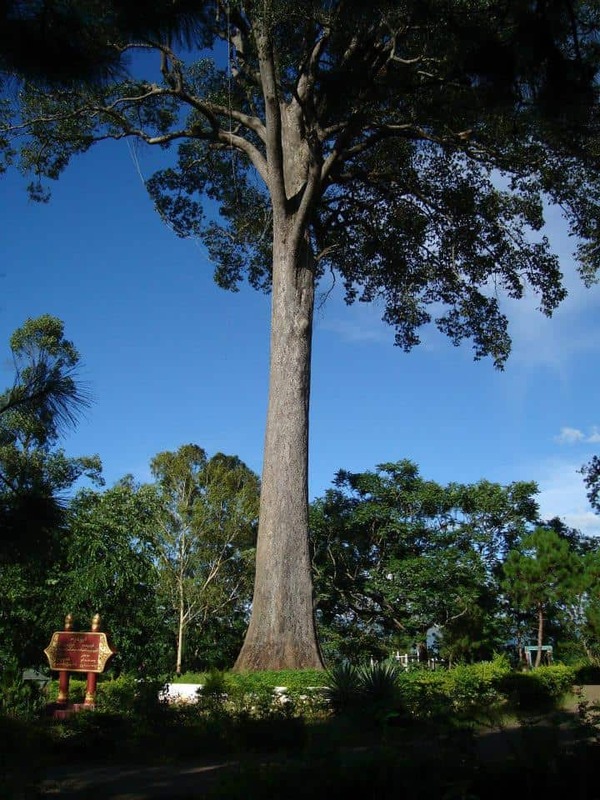 As you would imagine from the name, you can admire a large tree here which is said to have been planted some 250 years ago. The tree is even more notable as it stands alone on the hill and you can check out its twisted branches that have grown over the centuries. Another good reason to come here is to take in the views over the town from the hill which is particularly picturesque at sunset. 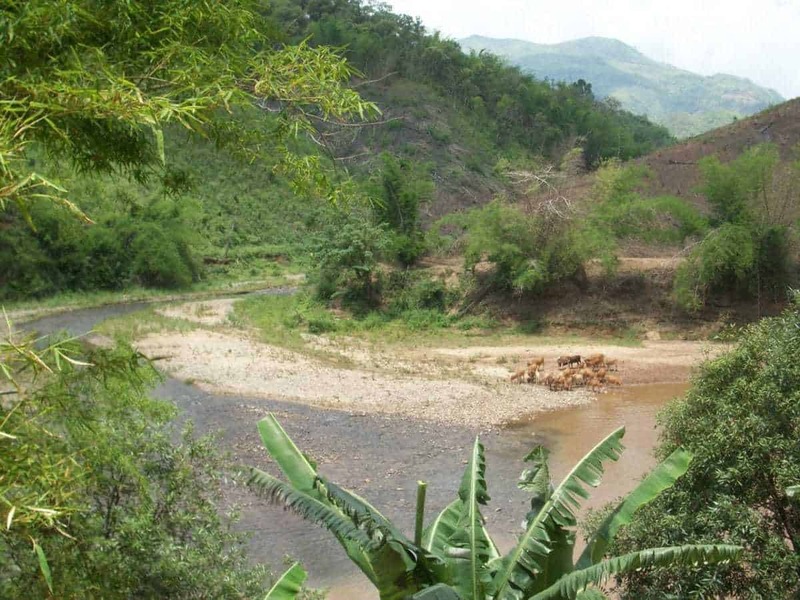 One of the great attractions in Kengtung is the Kengtung Hot Springs. These are basically thermal springs and there are a number of bath houses in the area that let you enjoy the mineral waters. Another quirky thing to do here is buy chicken or quail eggs from the local shops and then boil them in the hot waters if you fancy a snack. This is also a top area for picnicking so you can bring some snacks and chill out at the hot springs. 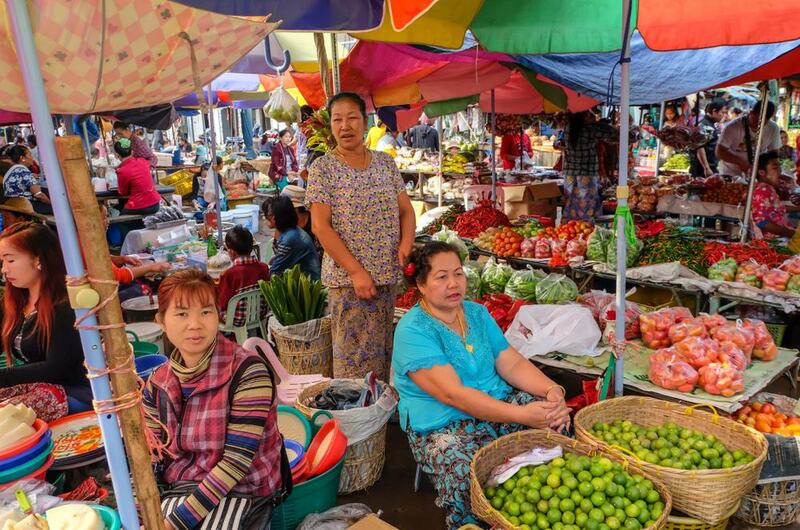 The Main Market in Kengtung is known for being the best place to come if you want to try some of the local street food as well as do some shopping. Kengtung has a wide mix of residents from the Shan, Indian and Chinese community, who all sell food and local products in the market. You will also find members of ethnic tribes here who come down from the mountains to sell local handicrafts so this is a good spot to visit if you want to pick up some souvenirs. As with all local markets in Myanmar, it is best to come here in the early morning as this is when the market is at its most lively. If you want to get out of the town proper then the best thing to do is hire a local guide and go trekking in the surrounding jungle. There are a huge number of treks that you can take here which include jaunts to local waterfalls and hot springs, or you can hike out to the local villages. This means that you can enjoy the picturesque jungles while also getting in a bit of a workout at the same time. 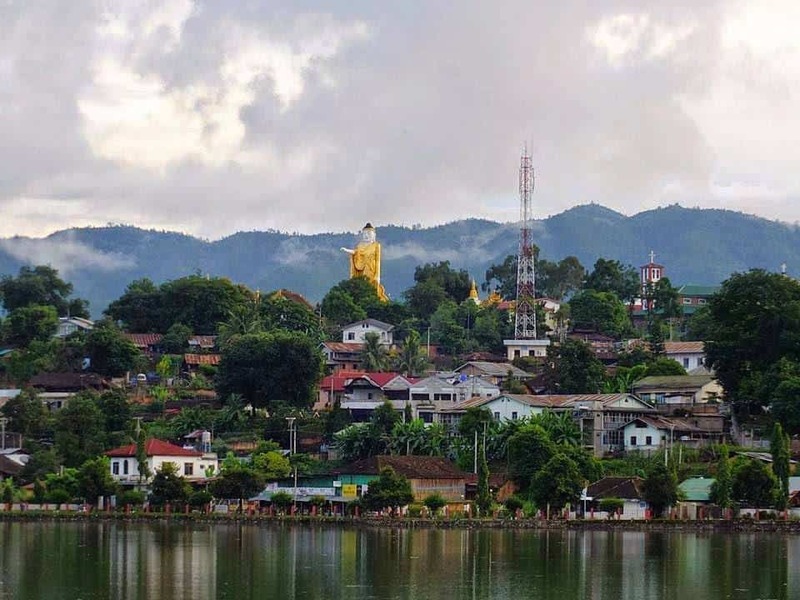 One of the prettiest spots in Kengtung is Naung Tung Lake which is a great place to visit if you want to see a more serene side of the town. There are also a clutch of restaurants around the lake which means that many locals come here to socialize and take in the cool breezes that waft off the lake. You can also visit the local vendors here and try famous Burmese snacks like dried salted fish. 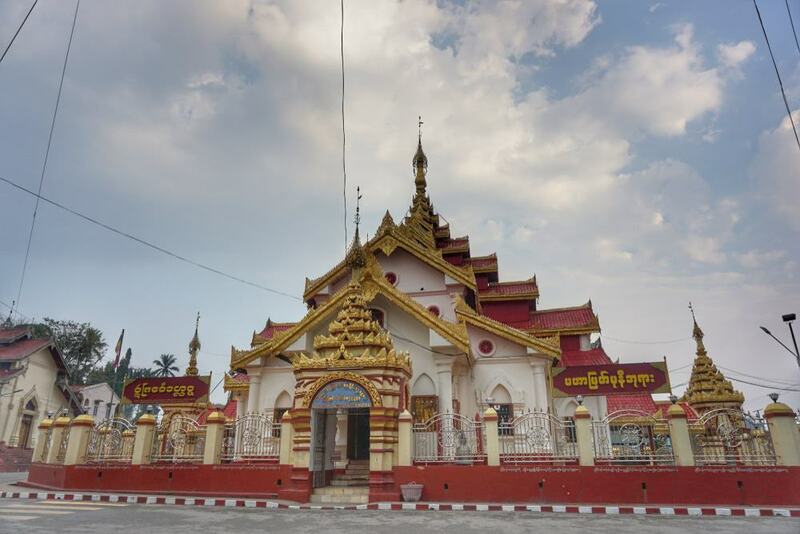 Wat Pha Jao Lung is one of the most famous temples in Kengtung and is located in the center of town. The outside of the temple looks unremarkable but the inside is a true delight and is covered in ornate red and gold paint work. As such it is well worth visiting the temple when you are in town and checking out the decorative touches for which it is famous. This is also a nice spot to relax in as it is offers a more restful atmosphere to much of the hurried town. If you are visiting the Akha Village on the outskirts of Kengtung then make sure that you also pay a visit to Pin Tauk Waterfall. 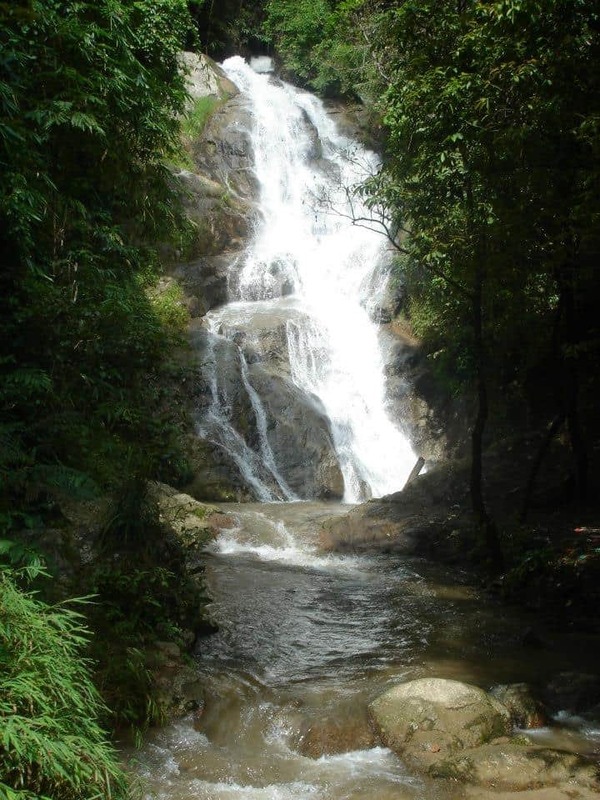 Here you will find a large, gushing cataract which you can get to via a scenic jungle path. The base of the falls is encircled by large rocks and many local families come here to picnic as this is a cool spot that allows you to recharge after a hot trek through the leafy jungle to get here. Many locals will tell you that the best food in Myanmar is found in Shan State. With that in mind, make sure you spend time trying out the local delights such as Khow Soi-shan noodle soup which is a local favorite that is usually eaten for lunch. This usually comes in a broth with meatballs, or you can try another variety that uses yellow chickpeas. 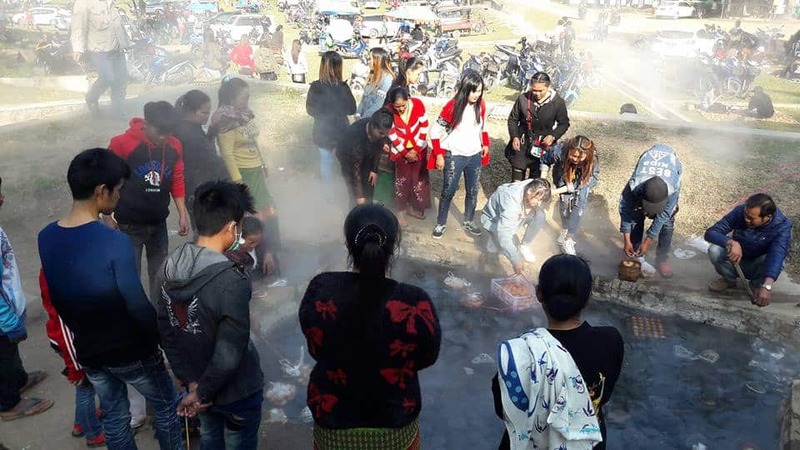 If you want to have a local breakfast, then try out the Shan pizza which is a kind of flatbread, or sample the delicious curries for which this part of Myanmar is so famous. 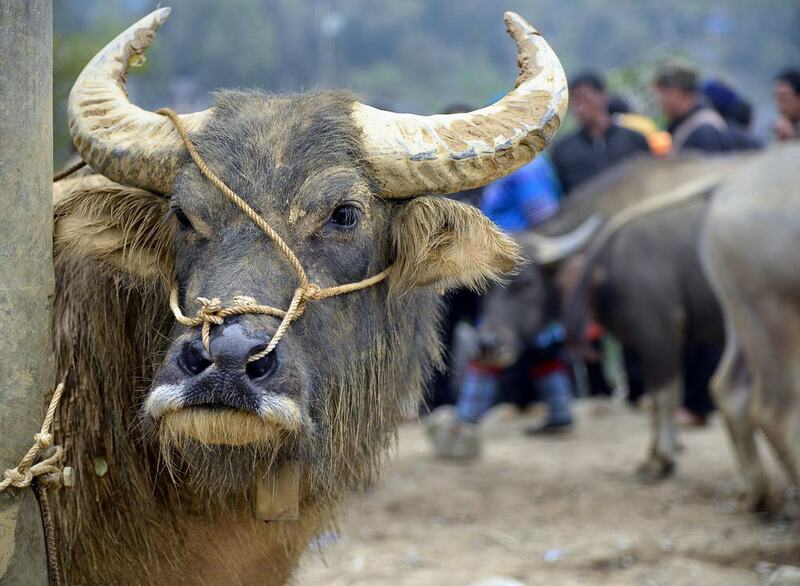 One of the quirkier attractions in Kengtung is the chance to visit the Water Buffalo Market. As you would expect, this is the place where locals come to trade and sell water buffalo which are used to plow the land and work on farms. This is a less well known spot in town but if you want to see a slice of local life then it is well worth the effort to come here. The main reason that many people visit Kengtung in the first place is for the chance to explore the local tribal villages on the outskirts of town. Some of these are the Wa, Sha, Akha and Lahu villages and this is the perfect opportunity to see how different ethnic groups in Kengtung live and work. 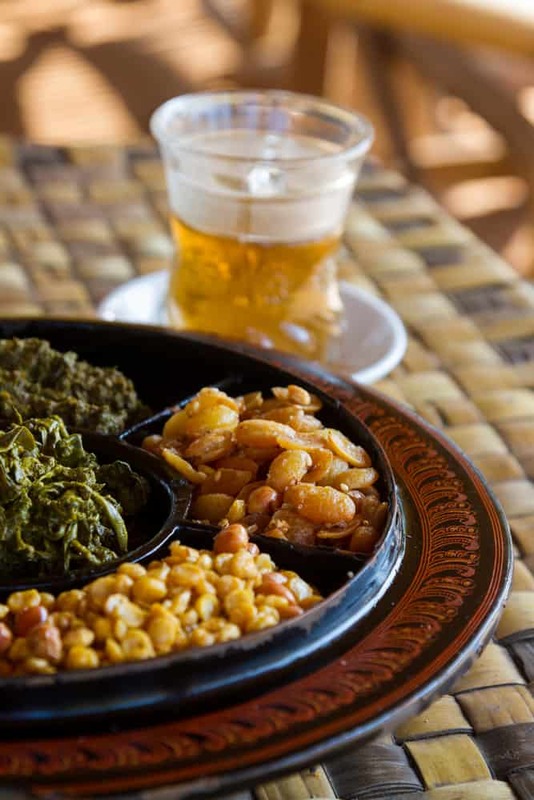 You can also check out how locals cook delicious Burmese dishes at home and many villagers also make traditional handicrafts that they then sell at markets in the region. Depending on the village you choose, you will be able to watch the artisans at work as they weave traditional textiles or make jewelry. If you are looking for a place to have a beer and relax then head to a local tea shop in Kengtung. These are dotted all over town and you can get Burmese draft beer and snack of delicious local treats like barbecued meats. Other staple snacks usually served in Burmese tea shops include the ubiquitous tea leaf salad which is made from pickled tea leaves which is certainly an acquired taste but is also definitely worth trying at least once when you are in Myanmar. If you want to see something a little different than all the temples and pagodas in Kengtung then take a trip to the Immaculate Heart Cathedral. This is actually a large Catholic church, but it is well worth visiting as it was built by the British during the colonial period in the signature style of the era. The inside of the cathedral features tall columns and soaring arched roofs which make it top pick if you want to see some different design features in Kengtung and check out how buildings would have been built in days gone by. There are a number of temples in Kengtung, but one that you definitely shouldn’t miss is Wat In on the Airport Road that leads to the town. The main reason to come here is that this wat is known for its large collection of Buddha artifacts which have to be seen to be believed. 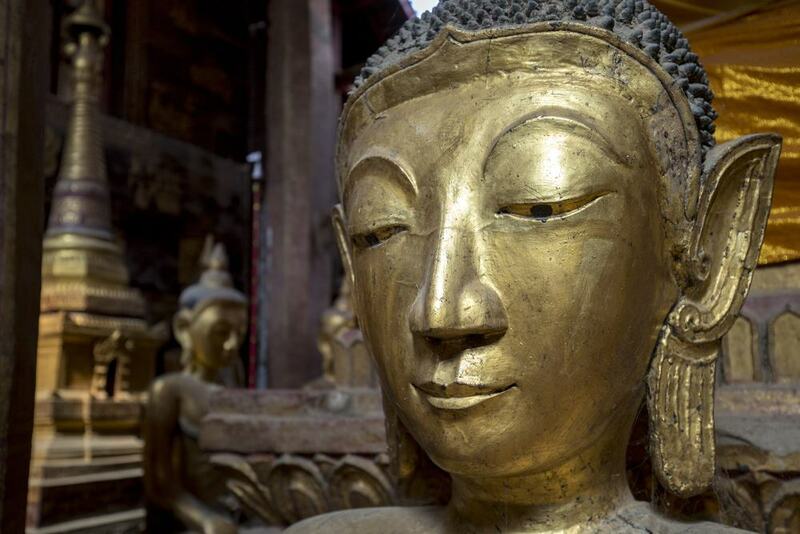 These come in a number of different shapes and sizes and you will find paintings as well as statues and sculptural pieces, many of which are gilded in pretty gold leaf which is a sign of reverence to the Buddha in Myanmar.